If you’re going under the knife, you might want to ask your surgeon what she had to drink the night before. A new study suggests that surgeons are more error prone and less efficient after a night of drinking than at other times, even if they have no detectable traces of alcohol in their blood. In the study, researchers threw a dinner party for eight expert surgeons at Yale University and instructed them to drink until they felt intoxicated. Then, on the following day, the doctors were asked to perform a series of simulated operations via a virtual reality program used to train doctors in laparoscopic surgery, a form of minimally invasive surgery performed with tiny incisions and a fiber-optic camera. As late as 1 p.m., the surgeons made more errors during the procedure than they did while performing the same operation on the previous day, before drinking. And they were consistently less efficient and less safe when performing a task that involved burning away tissue. A second dinner-and-drinks experiment — this one involving a group of surgery trainees and a control group that did not drink — found similar differences in next-day performance between the two groups. The findings appear in the Archives of Surgery. Most patients will agree that a surgeon who’s even slightly bleary-eyed is bad news. 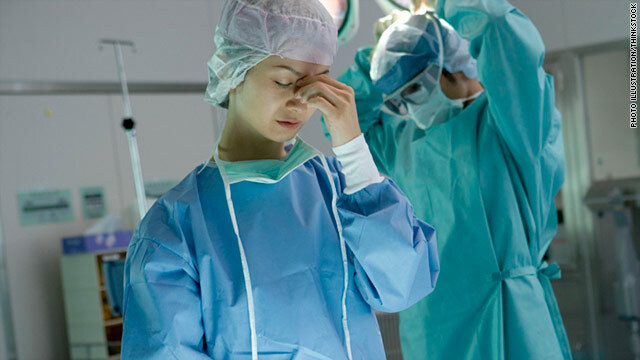 But it’s not clear if the performance lapses seen in the study would be meaningful in real-world operating rooms, says surgeon Emily Boyle, the lead author of the study and a researcher at the Royal College of Surgeons, in Dublin, Ireland. “Some of the skills required to operate were impaired in the study, but it is difficult to say with certainty how this would translate into real clinical performance,” she says. Nevertheless, the findings are worrisome enough that Boyle and her colleagues recommend that surgeons consider abstaining from alcohol on the nights before operating. Currently there are no guidelines for surgeons comparable to the so-called “bottle to throttle” rules that prohibit commercial airplane pilots from flying within eight hours of their last drink, the study notes. Although their findings don’t provide enough evidence to support a “bottle to scalpel” policy, Boyle and her coauthors call for a “higher level of personal vigilance” from surgeons and others who perform medical procedures. “It is likely that surgeons are unaware that next-day surgical performance may be compromised as a result of significant alcohol intake,” they write.